Triton, is a dynamic, advanced technology solutions and services provider. Since its inception in 1994, Triton has provided leading edge, value-added solutions. Key Triton services areas include: technical studies and analysis; system engineering; software engineering; system integration/test; engineering support services; and logistics support. This includes experience in: Foreign Comparative Testing; large screen displays; intelligence analyst workstations; data mining software; C4ISR architecture tools; multi-tiered, multi-user, Web-enabled COTS based applications; Configuration Management services; and full lifecycle logistics modeling. Triton's core competencies include systems engineering, information systems, and communication systems. Triton holds a Top Secret facility clearance. Triton provides quality customer driven, value added solutions to complex information technology (IT) and systems engineering requirements. These are accomplished on time and within budget, while exceeding customer expectations. As a cost saving method, Triton applies Software Engineering Institute- Capability Maturity Model (SEI-CMM) best practices standards to its systems development and project management efforts, and is pursuing CMMI Level 2 certification. Triton's IT experience base includes mainframes and client/server, as well as web-based and hybrid system architectures. 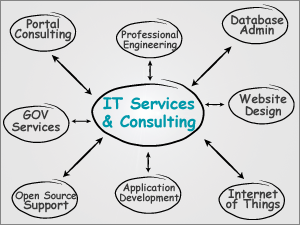 Triton's specialty IT areas include knowledge management, data visualization, and web enabled COTS applications. Triton's quality professional personnel retain expert knowledge, skills, and experience that are applied to the development of advanced solutions to complex customer information technology and management problems. Triton personnel have experience, training, and certifications in specific skills and applications that include software development (in C, C++, JAVA, and HTML; on both Windows and UNIX platforms) database development and support (including Sybase, Oracle, SQL, Microsoft SourceSafe, and Access), Portal development, software testing support, networks implementation and support, and software reuse. Headquartered in Annapolis, MD (Zone 2), Triton has additional offices located in Easton, PA, Panama City Beach, FL , and Pleasanton, CA. Triton has provided Advanced Technology Solutions and Services to both the public and private sector communities since 1994. To strengthen our clients with successful cutting-edge solutions to their business challenges. To be a solutions and services industry leader in our selective markets and a benchmark company in terms of quality customer service and growth.